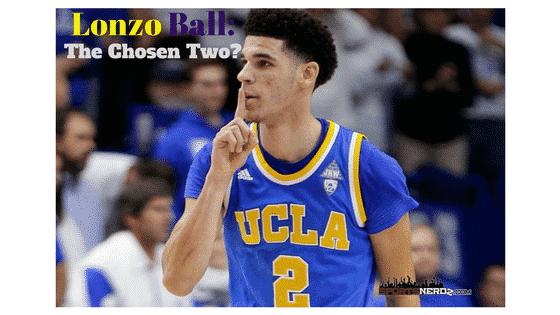 Lonzo Ball: The Chosen Two? I’ve studied up on this dude ever since the NCAA Tournament, and before. Even then I didn’t buy into the hype. Hell, I didn’t even think he was that good. From then until now my feeling hasn’t changed. To me, he plays flat footed, a little on the slow side, and also has a terrible jump shot. I’m a firm believer that you do not change someone’s mechanics (insert) Tim Tebow. We all know how that worked out. His jump shot may not cut it in the league against veteran NBA players with more size and speed. One thing I will give the dude is he has amazing vision on the court. But that jump shot and it’s release point? We’ll see. His first NBA Summer League game is what I think you might see more of rather than the last two where he had triple doubles. You gotta think, people, Summer League is just not the talent, and veteran presence he will face in the regular season. Teams may have one player that starts on any particular team. I just don’t think it’s a telltale sign of the future. Now the dude may prove me wrong. It’s no sweat off my back if he does. This is merely one person’s opinion. As for his dad! Either this dude is a marketing genius, or just plain stupid. I’m starting to think it’s the former of the two. ESPN continues to give this loud mouth what he wants: A platform to hype his kids, including Lonzo’s two younger brothers. Point being is this dude isn’t going away soon. One thing that you can guarantee will happen is Lonzo constantly getting bullied for things that his dad says that some NBA players may not agree with. Maybe an elbow or two in the mix? NBA players have voiced their displeasure with Lavar and Lonzo. See what I mean; Already spiraling down a slippery slope. Lavar needs to just zip it, and let Lonzo’s skills do the talking. He’s gonna have to fight battles on his own, and step out from behind daddy Ball if he wants to be taken serious. I think that him staying home and playing in Los Angeles was also the right move for him. It is the right nucleus and rotation for him to develop in a pro player. In closing, only time will tell what the future holds for Lonzo Ball. I do not think that there is an in between with him. Either he will be a superstar, or wind up in the Euro League. In the meantime, keep a close eye out for Josh Jackson, De’Arron Fox, Markelle Fultz. That is the cream of the crop in this years NBA Draft. Owner/Content Provider at Sportsnerdz.com. Also the co-host of a radio show called "The Locker Room" w/ The Starting Five on WTSQ 88.1 Charleston, WV. We're also credentialed media covering the New Orleans Saints, New Orleans Pelicans, WVU, Pitt, Single A Affiliate of the Pittsburgh Pirates WV Power Baseball Club, and local High Schools around the state of West Virginia.